With his roots intertwined in house music for the past 26 years, Terry Hunter has traveled the globe sharing his passion for house music while continuing to produce dance-floor packing hits for his Ts Box record label. Pleased with the success he has garnered in the house music community, but always looking to fulfill his appetite with other genres of music, Terry’s latest adventure in his musical journey showcases his production talent in the hip hop and r&b arena too. Born in August 1970 on the Southside of Chicago, Terry was introduced to music at a young age by his father, a DJ who played mostly soul and disco music at a west side tavern. As a teen, Terry built a following by DJing at neighborhood and high school parties, and then went on to play several seminal Chicago clubs and parties. He has been active in the Chicago music scene since the early 1990s. Having the influence of music all around him, at a time when the Chicago house music scene was on the verge of an international explosion, Terry debuted onto the scene with his first release, a house track entitled Madness, which created a big buzz on the record by playing it himself at various parties. It started out as a basement track, but became much more. In 1990, as the Chicago house music sound was exploding internationally, Terry produced his first release, Madness, which became an underground hit. While continuing to DJ in Chicago and beyond, he honed serious production skills. Terry has lent his production talents to own classics such as When I Fell In Luv, Sweet Music, Out on the Dance Floor and the club crossover anthem from Georgie Porgie, Life Goes On. He has produced many of his own albums, as well as remixes for other artists, contributing his talents to remixes for top artists, including Michael Jackson, Janet Jackson, Mary J. Blige, R. Kelly, Masters At Work, Byron Stingily (of Chicago’s Ten City), Barbara Tucker and La India. His 1997 track, “Harvest for the World”, (a cover of the Isley Brothers track) peaked at #48 in the UK Singles Chart in July that year. Terry has co-written and produced tracks for R&B singer Raheem DeVaughn as well as for Chicago natives Syleena Johnson and Rhymefest. 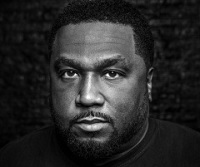 His work includes numerous collaborations, such as 2011’s “Mass Destruction” project with his friend and colleague, DJ/producer Kenny Dope, with whom he remixed Kanye West’s “Addiction”. To develop the next generation of house music talent, Terry launched his own label, T’s Box Records, in 2004. In 2006, he became the first new member of Chicago’s Chosen Few DJs in nearly 30 years. The next year, Terry released the global dance classic, “Wonderful”, featuring Chicago songstress Terisa Griffin, and followed that with a well-received remix of Marshall Jefferson’s house music anthem, “Move Your Body” and a hit remix of Avery Sunshine’s “Ugly Part Of Me”. He was named “Producer of the Year” by 5 Magazine in 2009. In 2011, Terry conceived and co-produced the first “Chicago House DJ Day”, bringing together for the first time 100 of the most influential DJs in Chicago house music. In 2013, he released “We Are One: A Movement for Life”, a contemporary ‘message record’ that speaks to the violence impacting Chicago communities. All song proceeds are donated to local non-profit organizations working to reduce violence. Expanding his soulful house sound to new audiences, Terry produced Jennifer Hudson’s 2014 Grammy-nominated smash, “It’s Your World”, as well as two songs—”I Will Survive” and “You Keep Me Hangin’ On”—for Aretha Franklin’s “Aretha Franklin Sings the Great Diva Songs” project. And on his own label, Terry’s production of “Let Nobody”, by Chantay Savage shot to #1 on both Beatport and Traxsource, as did his remix of John Legend’s “All of Me”. Live performances—including Miami’s Winter Music Conference, Southport Weekender, Suncebeat, Groovefest, Ministry of Sound and the Amsterdam Dance Event—and even a cameo in the French-produced film, “Eden” & Documentary “French Waves” keep Terry busy around the world. Closer to home, and back in the saddle after 2014 flood waters destroyed his home studio, Terry is producing R. Kelly’s & Angie Fisher’s new album, as well as his own EP, tittle “Imagine No Music” also coming up his collaboration with other Chicago legend and longtime friend Mike Dunn, under the name of House N’ HD, all due in 2017.